Common in large European cities, the rooftop greenhouse concept is exploding in North America. With limited ground space for horticulture in many urban communities, large apartment and commercial buildings with flat roofs are now being developed for commercial horticultural purposes. Agriculturalists who grow food for profit can economically lease a rooftop space for a fraction of the cost compared to actual farm land. From a business point of view, the expense of operating a greenhouse is considerably less in comparison. For example, urban areas are accessible to flowing electricity, an established sewer system and benefit with strategic locations within the city limits. Delivering produce is not such a massive undertaking as opposed to a rural location. Consider labor costs. It is much cheaper to hire employees who live within the city because the expense of travel does not need to be incorporated into the cost of labor. Also, city employees are more abundant and willing to work in an area near home. Rooftop greenhouses can produce higher quality produce for their supermarket clients because the shelf life of the food is so much greater producing higher profits for the retailer. The majority of rooftop greenhouses use the hydroponic system for food production. This system grows plants using mineral nutrient solutions in water, without soil. The process is beneficial for the environment because it uses less land and much less water to cultivate double the produce. If you live in a small city building with access to the roof as a tenant, a small personal sized greenhouse can go a long way to generate a decent supply of organics for your family. Greenhouses can be portable so if you do need to move, you can take it with you. 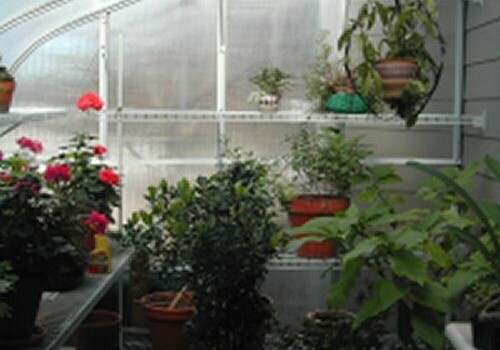 Or if you are just a plant and flower lover, a greenhouse can provide you with the perfect hobby.